I’ve seen this trail shoe model on many of my trail runner friends who swear by its dependability, comfort and durability, not to mention the bargain price made available in many running stores carrying the New Balance shoe brand. 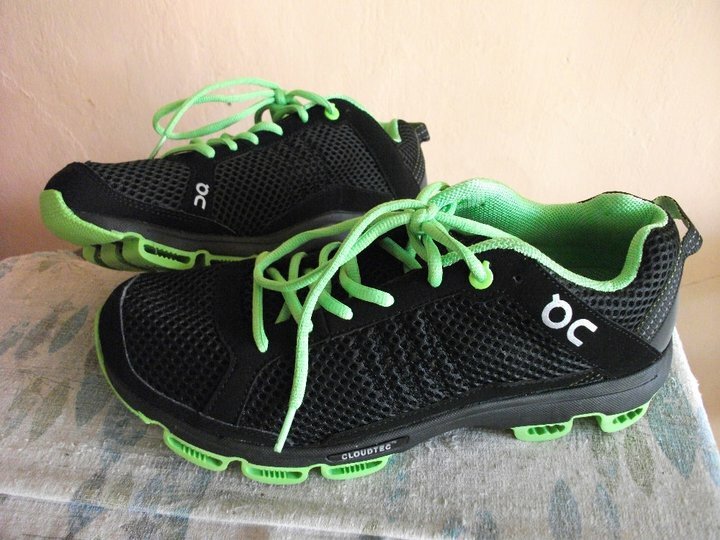 It’s one of the most popular trail running shoes which i’ve worn and tested in about a dozen trail runs and races. The New Balance 610 is a totally dependable performance trail shoe that does not budge on any surface that’s subjected to whether on rough roads, basic trails, rocky terrain or the occasional river crossings. It cuts through very nicely even on the most gnarly of trails and has enough cushioning to bump off rocks and muddy trails. The shoe has a light, synthetic upper mesh which is comfortable on the toes and gives adequate support. The mid-sole is composed of an injection-molded eva foam (IMEVA) giving it a firm yet flexible cushioning. However, i found the outer layer of the midsole to be soft as some scrapes and scratches were evident which is probably due to the constant scraping on rocks and other rough edges. The outsole has a high-traction thread made of Ndurance rubber which gives it a very durable quality and has multi-directional triangular lugs for sticky traction on most surfaces. I’ve logged-in about 100++ kms in this shoe and so far, the outsoles have been holding up very well with no issues regarding durability. The ankle collars are adequately padded with a lace up system that has string eyelets in the first 2 holes which gives it a somewhat secure fit. Straight out of the box, the NB 610 has a nice feel, has adequate room in the toe box (i wear 2E widths) and there is no rubbing in the inner edges whatsoever. No pinched feeling as well! The lacing system does help a lot in locking-in the feet and the padded heel counter added to the comfort when i started to walk in it. Putting it on for the first time, the feeling is like wearing a familiar shoe that you have broken-in and worn for several times and felt very comfortable that you won’t think its new. The NB 610 has been put through its paces in several trail runs from 10-k up to 30k distances like the Nuvali Rock and Road Trail Race, all PIMCO Trail Races in Tanay, test runs in Tanay and Miyamit, Timberland Heights runs, the recent Salomon X-trail run at Hamilo Coast and many other trails outside of the city. This means running in all trail conditions and i’m giving it high marks for its versatility and adaptability. It shines in all surfaces and treks well in river crossings. The shoe sheds water very quickly except when small sands and pebbles gets inside the shoe that i have to completely stop and remove the shoe of its debris. The shoe doesn’t lose its cushioning and stays very breathable even in hot weather running. A great all-around trail shoe that doesn’t disappoint and i wouldn’t hesitate to recommend to all hard-core and beginner trail runners. Neutral and slight over-pronators will enjoy the high performance ride and do-everything versatility of this trail shoe. (I bought this shoe at a bargain price of less than P3,000.00 at the New Balance Store branch at Shangrila Mall, Edsa). Note: There’s a newer version of this shoe, the NB 610V2 which i hope to have and review in the future. Specifically designed for the runner needing stability, maximum cushioning and those with heavy stride. Long known for its apparels in multi-sport, Zoot hasn’t been a major player in the running market much, as its niche has always been in the triathlon racing shoes. Now, it’s trying to unshackle itself from this exclusivity and has recently attempted to broaden its appeal by introducing models that would suit traditional runners to use them for everyday training and racing. Zoot has recently been formally introduced in the Philippines and although it has been on the shelves of the RUNNR running store for quite sometime now, its presence is still not felt in the mainstream running community not like its more popular counter parts like Adidas, Nike, New Balance, Mizuno and other popular brands. 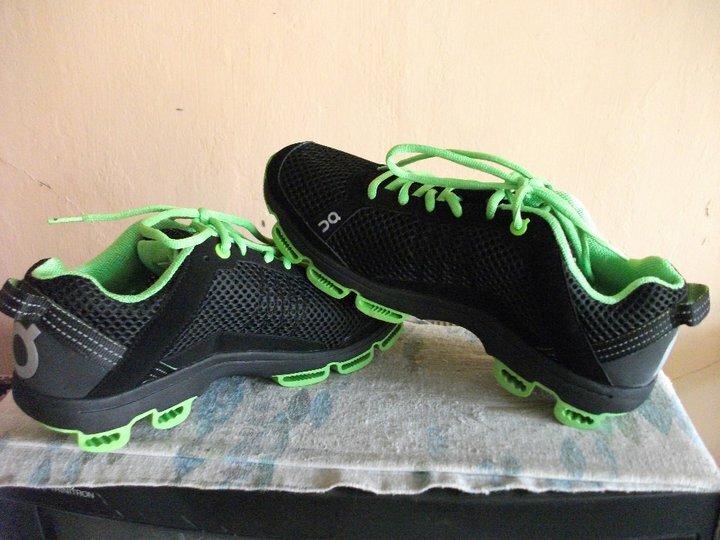 The Ultra Kane 2.0, part of Zoot’s “running” shoe category is one such shoe that has been introduced here in the country about 2 years ago. The upper of this version is made of nylon air-mesh which is a deviation from the original Ultra Kane which was made of the TekSheen stretch fabric. The Air-mesh was probably used to appeal more to runners although the same technology was used, the BAREFIT construction in the interior which gives it a glove-like fit and can be used sock-less. Their midsole technology is called the Z-bound, a lightweight and resilient compound that gives it a responsive ride. Z-bound has a very high-energy return. The result is less weight and great response. The outsole is made up of blown rubber or the ZBR (Zoot Blown Rubber) a custom blown rubber that gives the footwear durability and extended wear time. Other innovations used in this shoe are the CarbonSpan+ shank molded into the midsole which provides a smooth, stable ride and the Dri-Lex Liner Fabric which is antimicrobial that minimizes moisture, foul odor and reduces hot spots that cause blisters. The Ultra Kane 2.0 is a snug-fitting piece of rubber which is comfortable in the inside. The shoe’s soft tongue is sewed-in within the upper that stretches once you slip-in your foot. Runners not used to this type of slip-in shoes might find it a bit annoying but just loosening the laces and stretching up the tongue while pulling the pull-tab at the top of the heel will do the trick. Voila! There’s instant comfort once you walk in it. The cushioning is immediately palpable although not so much as not to be able to feel the surface while running. 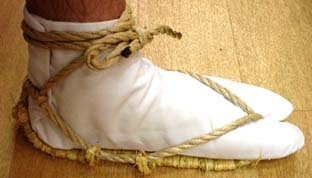 It seems that the use of the laces seem secondary as the seamed-in tongue does secure the foot in itself. I didn’t feel any hot spots to cause any prospective blister and although the forefoot and heel cradle were roomy enough, it still hugged the foot preventing it from sliding from side to side. Nice to be running on these shoes on several short and long runs and i’ll give the performance high marks. Being a neutral to slight pronator, i like the mild support it gave on the longer runs. The ride was lavishly comfortable, extremely smooth and soft from my heel to toe strike. I felt that i was running on my last leg of the Kona Ironman, so let me imagine just a bit. The heel and midfoot fit are quite snug but the forefoot opens up a bit to the stretchable upper layer of the shoe. However, all the cushiony-feel when walking on it dissipates as you could feel the surface of the road when running which is a good thing. The shoe is responsive and agile and i would venture that this would be an ideal shoes for long distance running, from half-marathon to marathon distances. The Zoot Ultra Kane 2.0 has everything that a good solid shoe should have: snug fit, enough cushioning and enough support to give runners who need more stability. One noteworthy feature of the Ultra Kane 2.0 and all the other Zoot running shoe line-up is their attractive styling and color combinations. These shoes have their lineage in the triathlon with all the heel tabs, slip-in wear, sock-less comfort, fast performance and other new innovations introduced in their latest models. This is an excellent buy! A newer version of the Zoot Ultra Kane which is the version 3.0 has just been recently released and is now available at Planet Sports Stores, Riovana, Secondwind and the Brick Store. The Mizuno “BE” is basically a recovery shoe designed to be worn when you’re NOT running. A pre and post run shoe. Inspired by the Japanese Waraji (Japanese 草鞋) sandals made from straw rope that were used in the past as standard footwear for the Samurai and the Feudal soldiers of Japan. It’s not supposed to be used as a running shoe but just to satisfy your interest on how this shoe would feel like while running, you can take it out for a 3-5 km run (no more than that!) and just once! I researched on the shoe even before its launching here in Manila and found out that it’s suppose to be worn when you’re not running. This shoe is often described as a toning shoe but that gives a negative connotation to it although it works to activate the toes and the muscles of the lower leg and feet, the same way as a toning shoe does. The BE is Mizuno’s answer to the different recovery shoes that are out in the market. The K-Swiss Blade-Light Recover has been out in the market for about two years now while the New Balance has its own Minimus Life/Wellness Zero for post-run shoe wear. While many runners will still prefer to wear flip-flops or slippers after a hard or long run, (including myself) make no mistake, the BE is a great casual shoe that’s great for walking, going to the mall or just wearing it to the office, if you’re allowed to wear one. This is one comfortable shoe to take anywhere! The upper is made up of a soft, suede-like canvas with breathable mesh specifically constructed on the top where the toes would normally be positioned. The toe-box is wide and roomy, designed anatomically to the shape of the foot. 1. ACTIVATION SOCKLINER – Dips the toes to activate your muscles. 2. DYNAMIC FUNCTION HEEL COUNTER – Cups your heel to improve it’s cushioning function. 3. AP+ MIDSOLE- Offering cushioning and comfort at footplant. 4. BE FOOTPRINT OUTSOLE – Lightweight and durable. The BE has a nice, comfortable feel. It’s not snug by any means but it’s really made to make your toes relaxed and breathable. This shoe is one flexible shoe i have ever tested. I like the footing which is soft but firm and there are no irritation issues with the upper and even on the heel-counter which is somewhat low. BE’s sockliner dips just behind the toes, creating a space that allows the toes to flex and move freely, resulting in more muscle activity. This is exactly how it feels in the toe area. Have you tried cutting the top area of an insole before because the shoe you probably bought was to narrow on the forefoot? I did this when i was just starting on running, i made bad decisions when buying running shoes when i didn’t try them on first before buying, that i ended up getting sizes that didn’t have enough space on the toe box. So what i did was cut-off about 1.5 inches at the top of the insole, shaped them to conform with the trace of the toes and put them back to try them on. The toe-box felt roomier and the toes could feel the space that was cut-off. This is how the BE activation sock-liner feels. From the first time i slipped on this shoe during its launching at Mizuno’s headquarters at Magallanes, i was sold. The inside of the shoe was very comfortable though one could easily sense what the Waraji sandals felt like, the gap of the insoles to the length of your foot. The midsole was pillowy and although there is a heel to toe differential of about 5-6 mm, the feel was like walking on a zero-drop shoe. Although this shoe was meant just for walking, the inquisitiveness in me dictated that i should “test-drive” this shoe and took it on a short run the following day. On that 4 km run, the shoe felt very light, meatier than the Vibram Five Fingers “Speed” shoe but much lighter than the Reebok Realflex Transition shoe. The feel was responsive, tends to set you on mid-foot strike and glided well on asphalt road. If we were not apprised that this shoe was made for walking only, i would have run another 4k on this without a problem. But there will probably be issues about its durability when taking this for runs so lets just leave it the way it was intended to be used, for the mall. After using this almost everyday on my daily grind for work, meet-up with friends, walking from place to place on errands, this shoe is very kind to the feet, no aches nor pains to the foot and legs, whatsoever. Great moderate pronation control that can be felt guiding and correcting the foot while in motion. Adidas already has one of the best stability shoes in the market, the Supernova Sequence and it’s latest incarnation is the Sequence 5. I had some very good experience with their Sequence 3 model which i first tested 2 years ago and i would say that it was of the best stability shoe i ever had and i’m still using it up to this day. It would be easy to overlook this new RESPONSE STABILITY 4 model because of the more popular Sequence but the Response Stability 4 is just as great! This is the first time i’m testing this series and i’m pretty satisfied with it’s performance so far. Even though it doesn’t have the flashy upper and the pleasing look of the Sequence, the Response Stability series is still one of the mainstays of the Adidas line because of its hordes of followers. Construction wise, most of Adida’s newer models don’t deviate much from its predecessors. The designs are simple, but very well constructed and this particular model has a wider 3 stripes design with a thin reflectorized strip that runs across the middle of each stripe. The upper has synthetic overlays that enhance durability and support. The medial post of the Stability 4 called Pro-Moderator is very visible with its colored (red) lining that runs at the arch of the mid-sole. The Adiprene, Adidas’ elastic inserts located at the forefoot and heel gives the shoe its propulsion and cushioning from impact to toe-off. This model still uses its ADIWEAR blown-rubber outsole which gives it high-wear durability. Now for the first time, i found an Adidas model that is wide-bodied than any of their other models i’ve tried. I particularly like the roomy toe-box which an adidas wearer should know is not one of their strong points and i’m now even using thick socks on this pair which posed no cramping and adjusting inside. It has more than adequate cushioning on the midsole and tongue and similar to the Sequence, the fit is comfortable, snug but not too controlling. This shoe had its baptism of fire on the hot concrete roads around Mall of Asia to Roxas Blvd and Macapagal Avenue. Cushioning was very adequate running on hard concrete without feeling any soreness right after the 17 km run. Again, at the asphalt jungle of Ortigas Center this time, the shoe felt responsive and during the downhill crest along Julia Vargas Street, the foothold came firm and stable but did not impinge my gait nor foot stride. I also like the smooth ride of this shoe and the consistent cushioning whether i adjust to heel striking or whenever it goes mid to forefoot strike when i go uphills. At 11.8 oz, this shoe is by no means very light but that’s counter balanced by the easy flexing smoothness and its ability to rev-up to higher speeds when necessary. Oh yeah, you try to rev-up when you know that your lagging behind your friends! The medial-post did its job well as i didn’t feel any “rock and roll” problems inside the shoe even when running on uneven surface. The Response Stability 4 gets high marks from me for its support, cushioning and comfort. I would recommend this for mild to moderate over-pronators, stability- oriented runners who wants a blend of cushioning and stability. Recommended for neutral runners looking for support, cushioning and a responsive ride. About a year ago, New Balance offered a low-key shoe called the NB759. It wasn’t very technical and despite its simplicity, it attracted a lot of following a runners appreciated its responsive, well-cushioned ride. Its direct descendant, the New Balance 880 doesn’t appear to be too special either. But looks can be deceiving because peso for peso, the NB880 is an excellent shoe and perhaps one of New Balance’s best road shoe. A little more expensive than the venerable NB759, the new NB880 is essentially the same shoe with two minor differences: First, the 880’s midsole incorporates a stability web shank that makes it a notch stiffer but gives more support to the shoe. Secondly, it has incorporated NB’s ACTEVA Lite midsole which makes the shoe essentially lighter and provides great cushioning and shock absorption. I’m confident enough to impart what the 880 can do as it has already logged about 80 kms since I got them last January. I like it so much that I am now using them exclusively for races, from 10k to the half-marathon distances. So much for that in a while. I like the soft materials used for the upper which has plenty of open mesh and runs constant from the forefoot to the heel area. The tongue has a larger open mesh with soft cushioning underneath that hugs the top of the foot comfortably. The outsoles are fairly aggressive that would adjust well in many surfaces. The hard rubber provided great traction on pavements and even on wet dirt roads. The midsole is made up of NB’s Acteva Light and the Stability Web. The Stability Web stretches from the arch to the heel portion which locks down the arch and gives some heft of stability at the medial port. It almost looks like a stability running shoe except for the segmented “N-ergy” on the arch’s upper midsole that gives the shoe a noticeable rebound and produces a soft ride. This is probably the 880’s strongest point, its secured fit and comfortable feel. The forefoot, the upper and the heel area seem to mold into my feet like a perfect globe. The feeling was like wearing a made-to-order shoe. With the right socks and just the right amount of pressure when lacing the shoe, it was “love at first fit” and I just couldn’t wait to give it a spin out on the road. Just as I had expected, the 880 was light enough, it had a plush ride and I felt the softness from the midfoot to toe-off. Running felt very comfortable and the easy agility was evident, one I would compare with the great hugging Saucony Pro-Grid Ride that I had a few years ago. The shoe felt responsive on forays of short and long runs. It is well cushioned and for a neutral shoe, it has a solid base for support. Until recently, it’s been almost impossible for me to find a good training shoe that I could dabble with into a racing shoe. The 880 is one example of why that’s no longer the case. In fact as I earlier mentioned, I am now using this exclusively for races and I intend to get another pair of this model before it gets phased-out. Although the 880 is a durable cushioned shoe for the neutral runner, it’s light enough to be used as a fast paced trainer or racing shoe. And as a neutral shoe, it has a sturdy medial post making it surprisingly stable—enough for a wide range of runners. 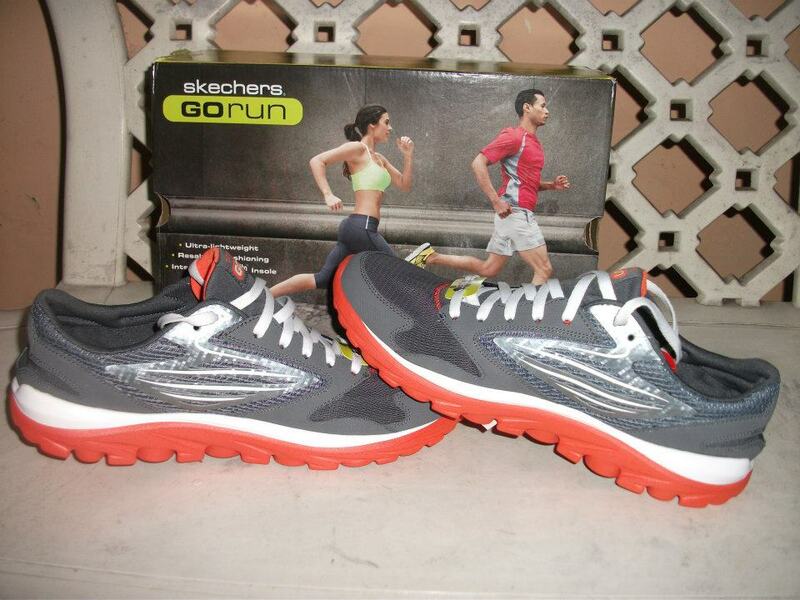 It is also an ideal long-distance training shoe for just about any level or type of runner, which I highly recommend! Santa came knocking on my door this Christmas and left me one of his small sacks which contained some running shoes, well just two which was for me to review and post in this blog. 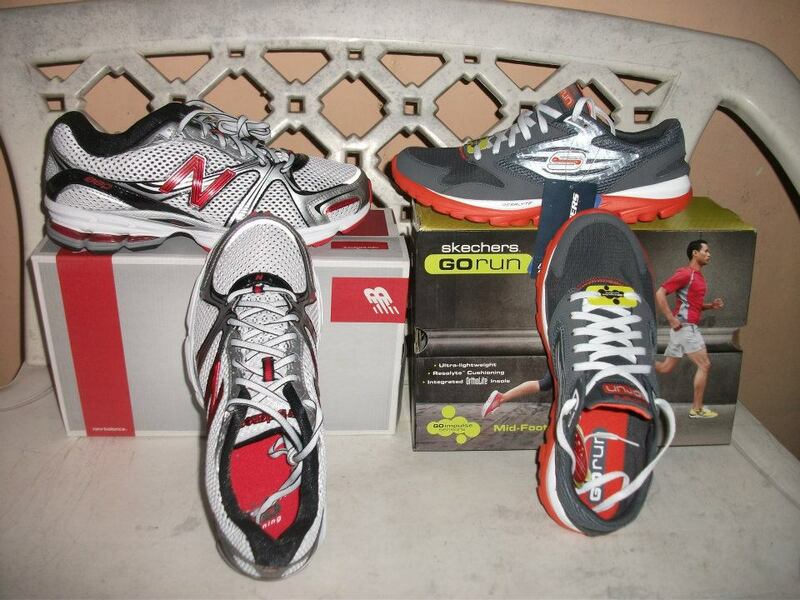 I got Skechers’ new running shoe, the GO RUN and the New Balance 880. I’m not going to give a comprehensive review on these shoes just yet as i’ve just wore-tested them at home and outside just to get the feel of it. I couldn’t resist to try the GO RUN shoes though, as i was curious about the review given by top American marathoner Meb Keflezhigi who wore the Go Run in setting his personal record of 2:09:13 and placing 6th at last month’s New York City Marathon. The shoe just weigh a 7 oz. on my size 10 feet and felt feather-like as i warmed up for an 18 km run. There’s a bit of a “lump” on the middle of my arch or under the midfoot which sort of softened the impact. The rocker stance is less pronounced here than their SRR or Liv models and the usual cut-off under the heels is still present to encourage a mid-foot strike which it did, exactly like the LIV model and that’s coming from a heel striker like me. The 18km run was a bit of a mixed feeling.. soft, light and very comfortable although i was consciously landing on my mid-foot all the time which takes a while to get used to. I like the wide toe box and the fit was excellently snug. There was enough cushioning on the shoe although i wish they would have put more of it in the forefoot. The downside of it though was after the run, i felt some heat below the big toe and had i ran 2 kms more, i would have developed a blister at the big toe mound. I should have applied a lubricant or a petroleum jelly as i usually do when trying out new shoes. Aside from this minor discomfort, i found the shoe very responsive, a definite shoe for racing or fast paced training. Light and fast-paced runners will definitely like its soft underfoot and spring-like response upon toe lift. Engineered in Switzerland, made in China. 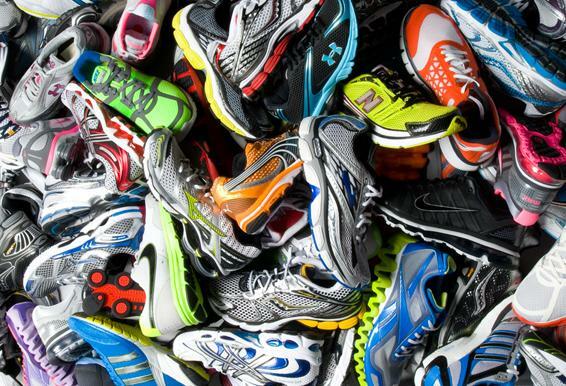 Well, the production in China is mostly a given, where majority of running shoes (or nearly all of them) are made there but the ON-Running shoe has its roots in Switzerland and no less than the Swiss Federal Laboratories for Material Testing and Research has tested and acknowledged the cushioning capabilities of this shoe. The ON is relatively new in the market making its debut at the International Trade Fair for Sports Equipment and Fashion in Munich last year. It is presently available in Europe, the United States, Australia, Singapore and Malaysia and developed by Ironman Triathlon Champion Olivier Bernhard and endorsed by former New York Marathon Champion Tegla Laroupe. I was able to test run this shoe last week and the model i have is the “Cloudsurfer”. The fact that this shoe has nothing to do with surfing, it was created to simulate a glide-like soft landing and to make a powerful push-off with the help of its lugs. 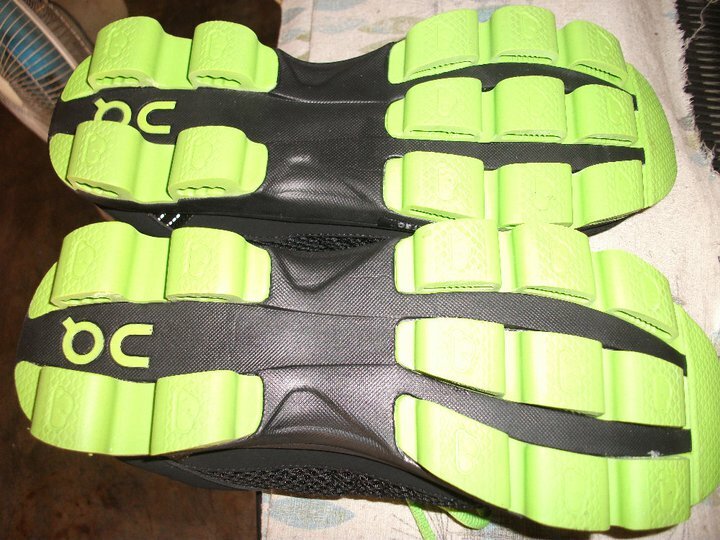 The Cloudsurfer is one radical-looking running shoe that i’ve tried. Its big advance: to land as soft as landing in soft ground and to push off effectively by using its 3D CLOUDTEC Cushioning technology which are pieces of circular rubber lugs they call “clouds” embedded on the outsole. That’s right, the outsole! 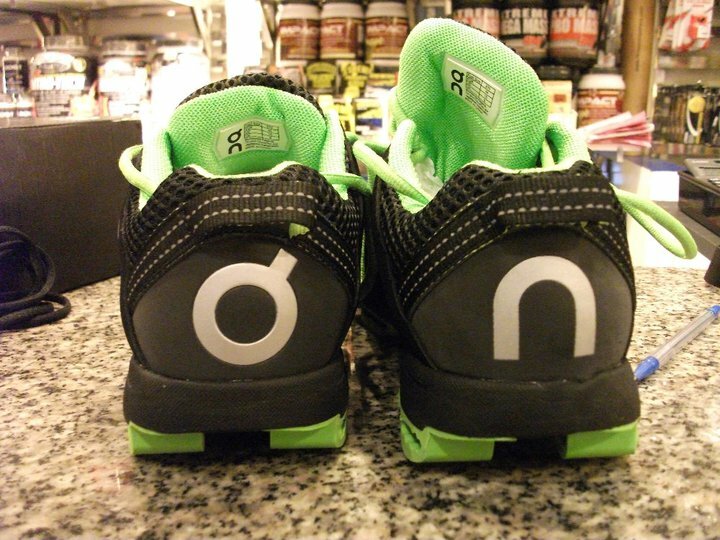 ON shoes has become one of the first shoes to take the cushioning battle to the outsole. Gimmick or not? Not. ON shoes accomplishes this with 13 circular “clouds”, 9 of which are located in the forefoot area and 4 much sturdier clouds on the heel side. With these, the clouds compresses, locks and rebounds for a powerful push-off and compresses back to a very cushioned landing. Aesthetically, the shoes are very well built with a lightweight mesh fabric while the panels are wide enough for cooling ventilation. The sock-fit insole are removable and well cushioned to conform to the shape of the foot for comfort and support. The collar and tongue are well padded as the stitching and overlays are very well done. There’s no problem getting into the shoe, so once you’re in, you’re locked-in. The pull-up tab on the heel was not necessary, in my opinion. The fit is snug and wraps around your foot nice and comfortable. It flexes in the forefoot and is flexible enough for both forefoot and heel strikers. The inside feel is roomy and did not overheat even when used in hot weather. The ON is a solid workhorse and running an initial 13k on asphalt and concrete on my first try did not pose any inconvenience, whatsoever. The ride was smooth, transition was very responsive and there are times when you don’t feel the ground as those “clouds” may have been doing its job in dissipating the shock. The light, glove-like feel seem to float on fast-paces and even running on cement (which i hate and try to avoid) seem to be inconsequential as your concentration remains to moving fast and efficiently, as possible. The following day was my tempo and interval day and tried to see how responsive it was on faster-paced running. True to form, it is light, agile and very receptive. From a tartan track to a dirt track and back on the roads, the ON did show its adaptiveness and i’m tempted to try it on a trail one of these days. High marks for this shoe! On a scale of 1 to 5, 5 being the highest, i’ll rate this at 4.5. Ideal for efficient runners who want a responsive, lightweight trainer and a good second shoe for fast work-outs or as a well-cushioned racing shoe. This shoe doesn’t come cheap and will be lumped with other expensive running shoes like the Newton and Somnio. So with the price, the questions are: Are the rubber clouds durable enough and for how long will they last? I’m sure there have been tests on longevity and durability conducted on this and would like to know of the outcome. So, the jury is still out, as for now. 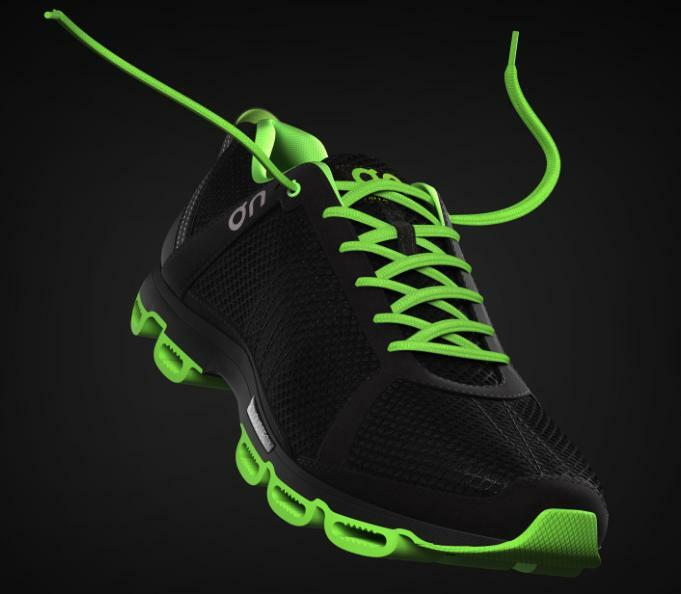 The On-Running shoe will be available at Chris Sports in early September, 2011. She's Chris Sports' Marketing Manager Arleen Lindo giving my test pair last week. Thanks, Arleen!